The Tatara Shimanami Park is a nice big park with really good views of the Tatara Bridge. I didn’t really enjoy it because it was early; was raining a bit when I arrived; and my body was still in a bit of pain. I’m sure that this little rest stop and park is a lot better than I felt and when I look back on it, I really feel it was better than I originally thought. Tatara Shimanami Park takes up a lot of space. The northern side has a small art plaza with a bunch of bicycle stands in the shape of people. Each stand is named after a major island along the Shimanami Kaido along with Imabari and Onomichi. 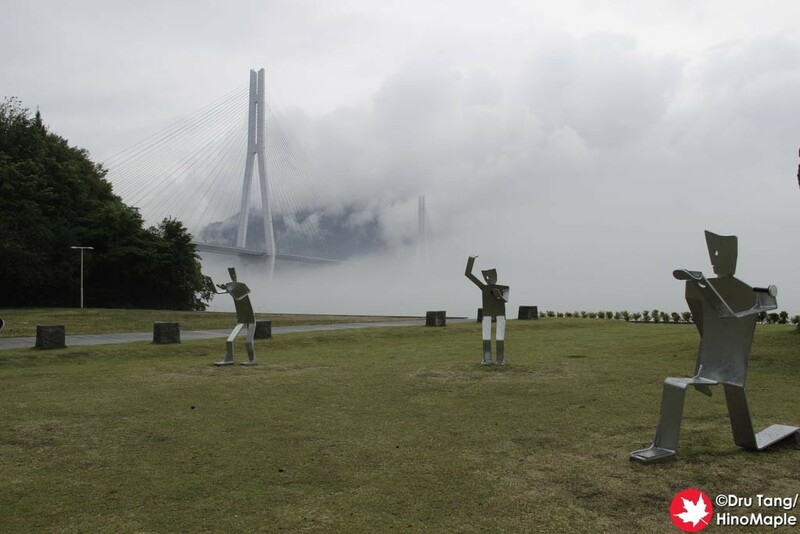 The full set of bicycle stands are in the park and you can also see them scattered throughout the Imabari set of islands as well as Imabari. I believe Imabari produced these as I didn’t see any of these stands in Onomichi. 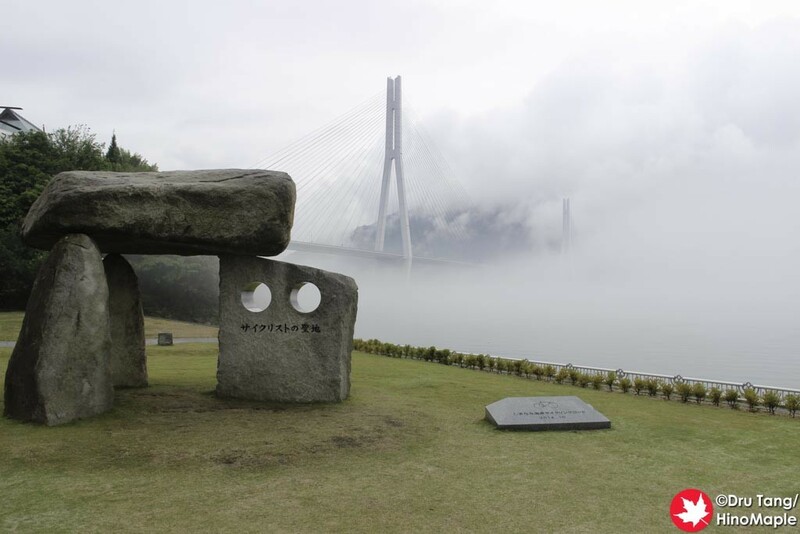 The plaza also has a strange Stonehenge like arch that is a symbol of the Shimanami Kaido having a sister trail in Taiwan. The Shimanami Kaido’s sister trail is the Sun Moon Lake Cycling Course in Taiwan. It was interesting to learn about it and may be a reason as to why there were so many Chinese people on the trail. I generally expect the Shimanami Kaido to be somewhat unknown to foreigners and only those who love cycling would know it, but seeing large groups of Chinese people on the trail at times did make me wonder how they learned of it and why it was so popular. The main building is made up of 3 sections. In the north is the restaurant. The food looked okay but there weren’t too many seats as a school was stopping by on a road trip. 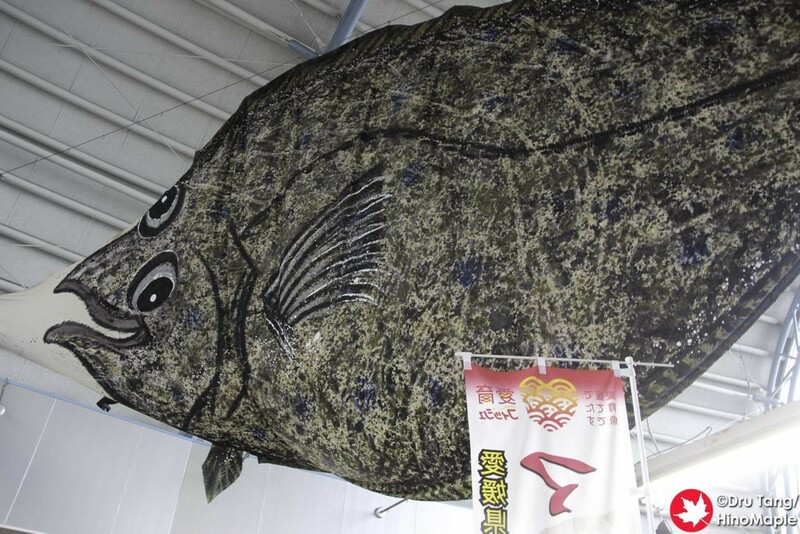 The central area has a nice tank full of Mahata fish, a “seven band grouper”. I didn’t get a chance to try it as I wasn’t hungry at the time, but they do have a huge banner of the fish in the central area. In the middle of the complex is a small gift shop. Like all rest stops, you can’t have a rest stop without a gift shop. 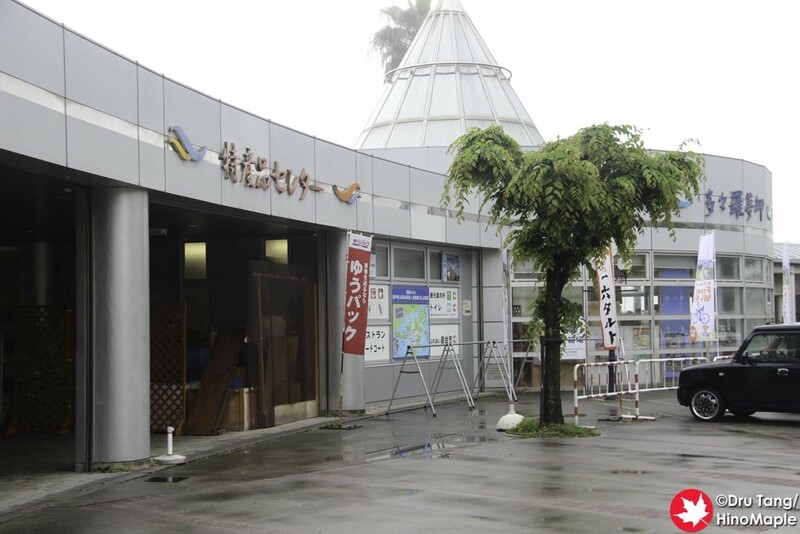 While the items were focused a little on Omishima, it was just a general Shimanami Kaido gift shop with heavy emphasis on the Imabari islands. I couldn’t buy anything as I just didn’t have space in my bag for it. 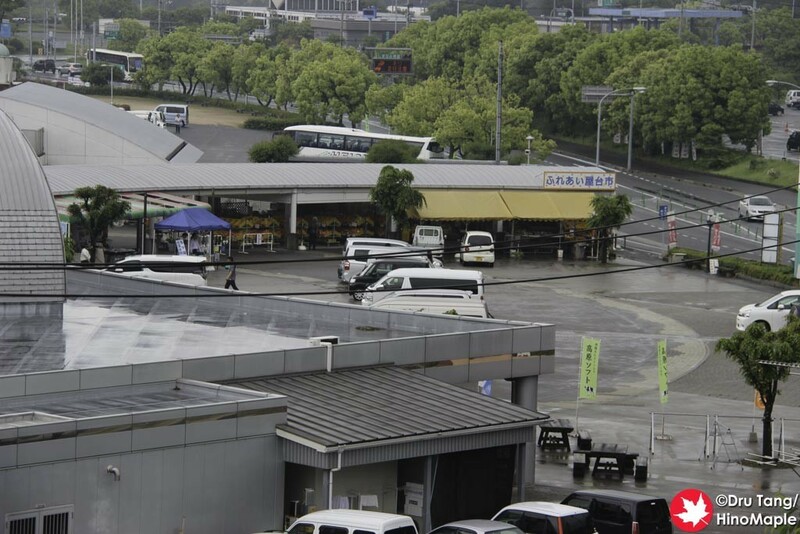 To the far south of the complex is the farmer’s market. It is a nice little area to buy the local mikan, but to be honest, the prices were a little high and I didn’t feel like buying them and then having nowhere to put the garbage or the actual fruit for the rest of the journey. If I had a car, or someone to drive a “crew car”, then I probably would buy some. If you are looking for something romantic, just to the south of the main complex is the main parking lot. Inside the parking lot is a small bell for couples to ring to hope for a good relationship. Needless to say, me and “A” didn’t ring the bell, but I offered him a chance if he really wanted to. Tatara Shimanami Park is a nice place to relax and I felt I didn’t give it the proper due it deserves. 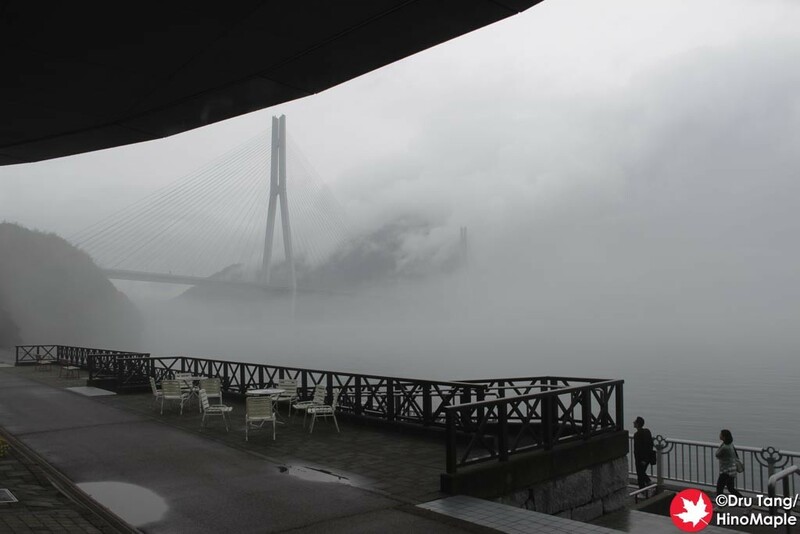 There is a small waterfront and beach area just behind the main building, but as the weather was terrible at the time, I didn’t want to spend time there. We ended up just taking off quickly, and to my later surprise and stupidity, my friend “A” actually wanted to stop and eat while we were there, but I misheard him. Don’t worry, we’ll be back. 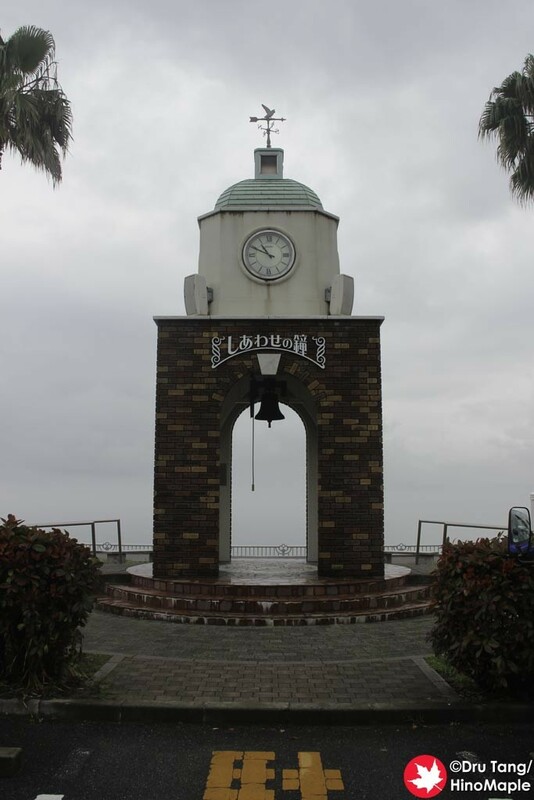 This entry was posted in Shikoku and tagged japan, Omishima, Shimanami Kaido, Shimanamikaido, Sun Moon Lake Cycling Course, Tatara, Tatara Park, Tatara Shimanami Park by Dru. Bookmark the permalink.